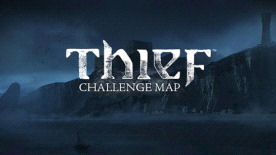 Challenge your friends and rediscover areas of the game with complete new rules! Earn points with each valuable collected. Obtain them in quick succession to increase the points multipliers. Special Loot has been hidden somewhere in the environment. Use the Hot & Cold indicators provided to locate each one. When a Special Loot is collected, the next one becomes available. Hunt down and steal as many as you can within the time limit. Collect coins to increase the time on the clock and earn additional points. Same as the Chain & Gain, but with an overall time limit.